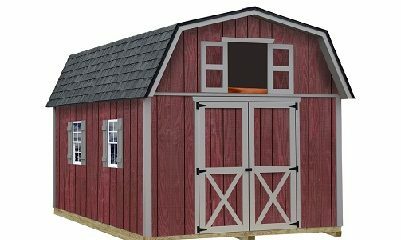 Barn kit with loft storage Big Storage…. small shed. The Woodville barn kit provides maximum storage in a small space. The Woodville outdoor storage shed kit offers high side walls and a upper loft creating ideal storage space for all your lawn and garden needs or household items you need to find a place to put. Access to the second floor loft is provided by an exterior loft door and inside the building.